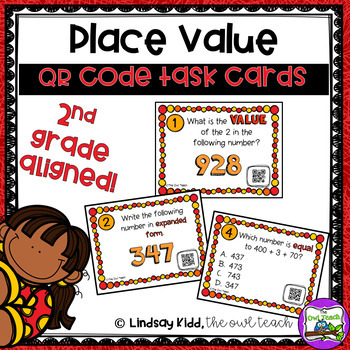 This set of Place Value Task Cards with QR Codes is perfect for reviewing place value skills for second grade. 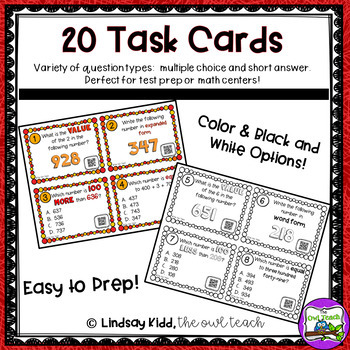 This set includes 20 task cards for reviewing 3-digit numbers. 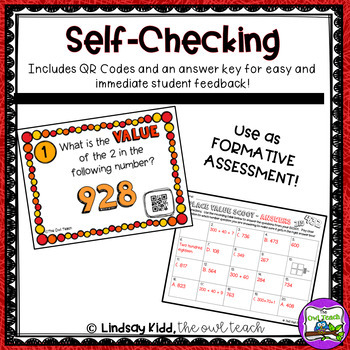 These can be used as self-checking task cards (with QR codes) OR as a SCOOT activity. 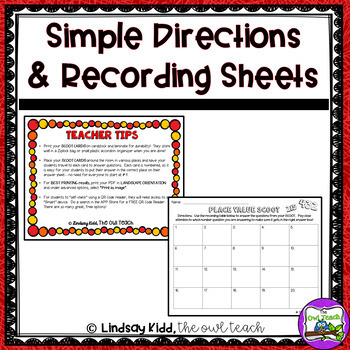 This set includes task cards in color and in black and white for easy prep and printing, teacher tips, a student recording sheet, and an answer key.